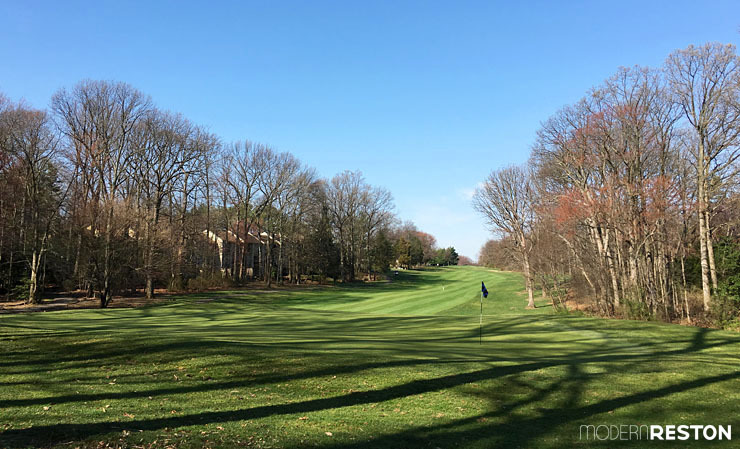 After years of controversy regarding the future of Reston National Golf Course, owners GF Golf Management have announced that they have finally sold the property. According to a 2015 ruling by the Fairfax County Circuit Court, the land served by the Reston National Golf Course must continue to function as open or recreational space unless rezoned, due in part to outcry from community interest group Rescue Reston. The open, green spaces of Reston National Golf Course are treasured by many members of the Reston community. 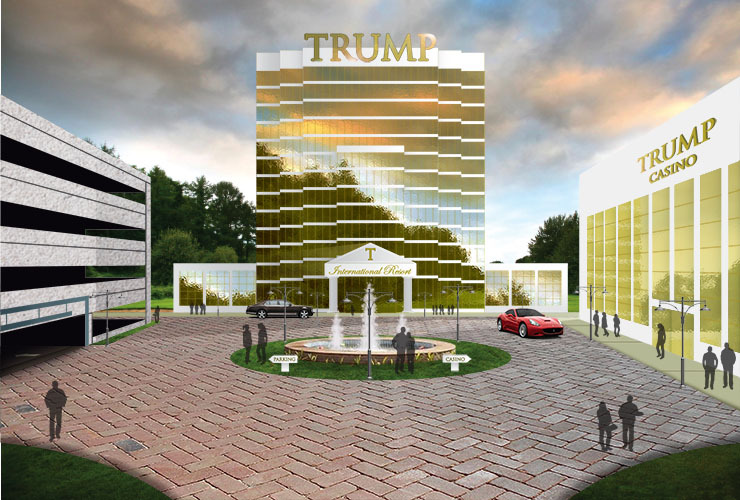 The investigative team at Modern Reston has obtained leaked redevelopment plans from an anonymous source within the Trump Organization. Redevelopment plans show a shiny resort that will be located on the site of the former Reston National Golf Course. Designs of the resort reveal a massive château adorned with the letters T-R-U-M-P, each standing 15 feet high and gilded in high-quality brass. The gold-hued exterior will reflect sparkling lights from sunrise, sunset, and security beacons outside the casino. 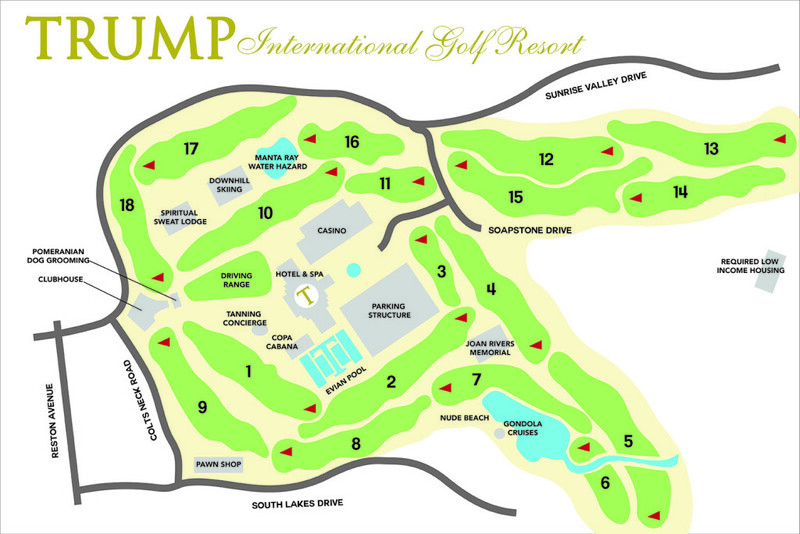 The hotel is designed to be large enough to accommodate the substantial influx of Trump tourism that the resort expects to bring to Reston. The long shadows cast by the tower will provide relaxing shade for the charter yacht boathouse, as well as the rest of Lake Thoreau. That shade should reduce the rising water temperatures caused by the huge turbines that will power the resort. Thank goodness for that, because when the lake gets warm, it gets green and nobody likes that. In addition to the yachts and an 18-hole golf course, resort amenities will include tennis courts, a helicopter pad, an indoor ski hill, a spray tan library, pet psychics, social-media butlers, singing gondoliers, and ample parking. These opulent facilities will bring over 600 opportunities for minimum-wage employment to the Reston area. A luxury restaurant will serve caviar nuggets and herbed ducktoast. Guests and their Eastern European brides will also be able to select from several Virginia wines. Wine from Trump’s Charlottesville vineyards will not be on the menu, though, because Trump Wine doesn’t sell well in this region. “I mean, come on. You know that’s like some $5 wine,” President Barack Obama once remarked about it. If you’ve made it this far, congratulations to you for your admirable attention span, and APRIL FOOL. This article is satire. We made it up and it isn’t true. But please send it to your friends and let us know how they react. Illustrations by Ioannis Hadjikyriakou and Michelle Schoening. You can follow Ioannis on Facebook and Instagram. This article is satirical fiction in honor of April Fool’s Day, as we explained at the end of the article. Well done, Charlotte! I like the way that you started the article sounding realistic and then introduced increasing levels of absurdity, until we can all eventually get the joke. Though I guess at least one person didn’t get it!